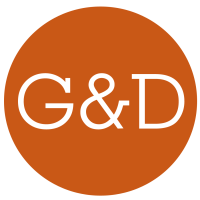 Looking for a unique gift for your coworker, boss, neighbor, friend, family member – anyone? 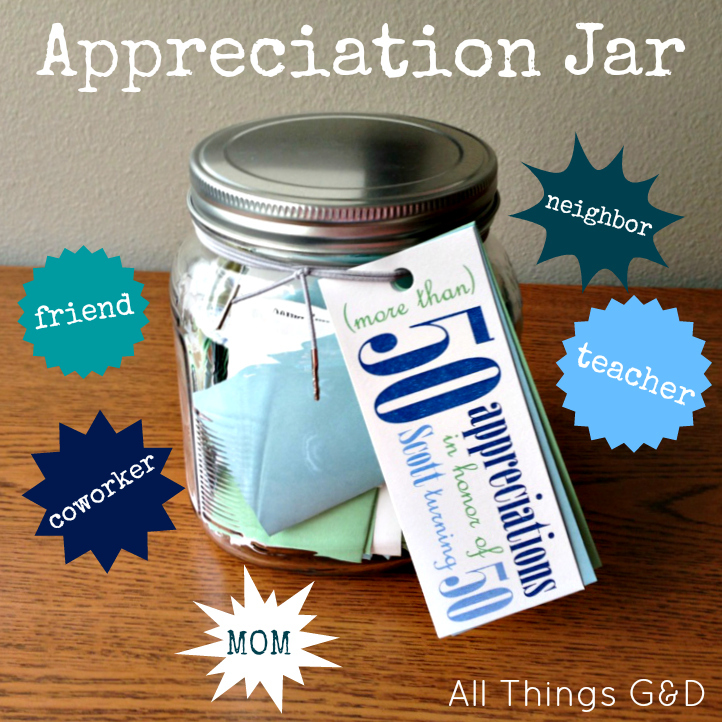 Consider making them an Appreciation Jar! At my office we believe in taking a “strengths-based” approach to our work, recognizing positives in the children and families we work with – and each other – as often as we can. One way we do this is by beginning our monthly “all staff” meetings with appreciations and acknowledgements any of us have for our coworkers who’ve helped us out over the past month, gone above and beyond in their jobs, and have made the office a positive and supportive place to work. I’ve noticed through the years that we’re very good at acknowledging efforts of our peers and anyone “below” us (for lack of a better term), but we’re not as apt to recognize our supervisors and managers (those “above” us) for a job well done…which led me to the recent realization that my boss Scott (our Executive Director) is probably the least appreciated person in our office! I decided it was time to remedy that. Scott celebrated his 50th birthday recently, and in honor of the occasion our Leadership Team planned a variety of fun ideas to mark the milestone. My contribution was this Appreciation Jar. My goal was to gather “50 appreciations in honor of Scott turning 50” so I emailed all of our staff and board members asking if anyone had an appreciation for Scott that they’d like to share, and in the end I collected more than 50! Some were serious, some were funny, and all were incredibly thoughtful and sincere. 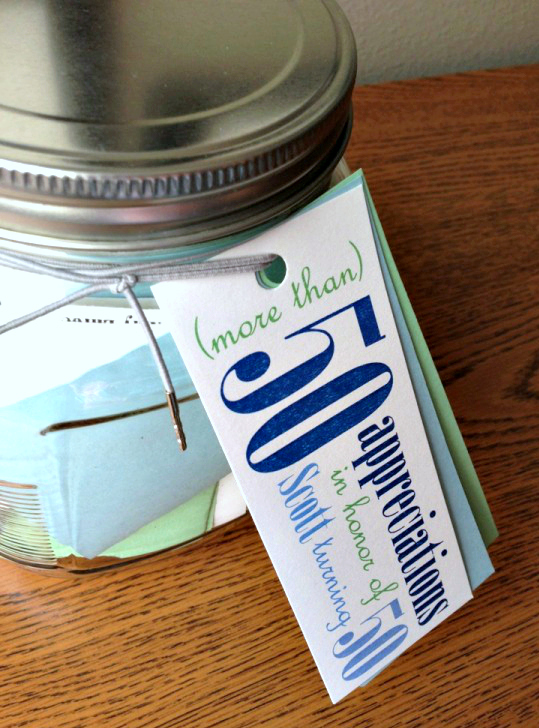 (More than) 50 Appreciations from staff in honor of our boss turning 50. 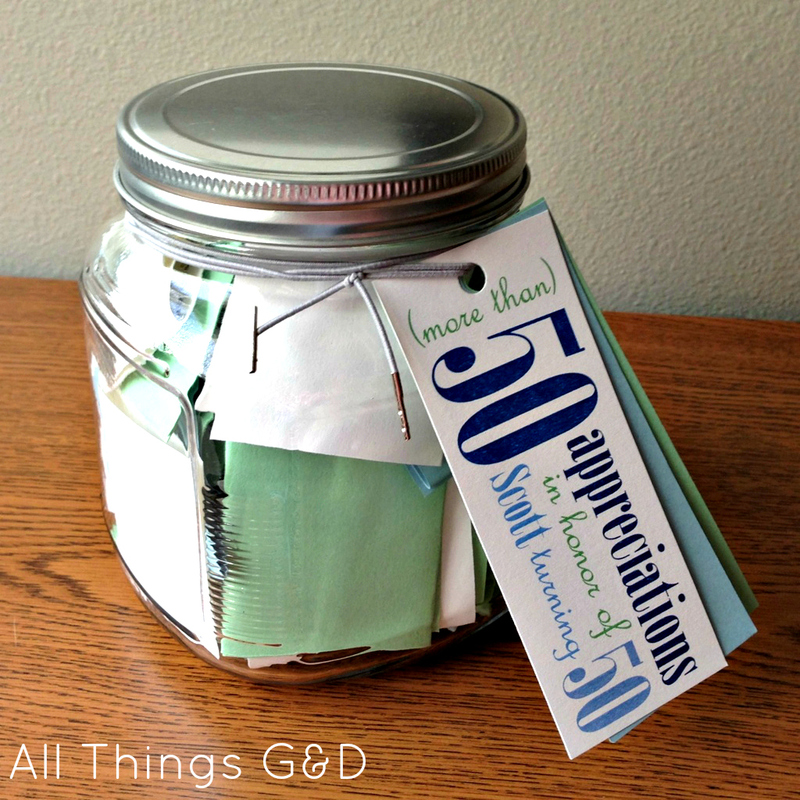 I was so pleased this idea worked out and we were able to gift this to Scott on his 50th birthday! For less than $5, I was able to create a unique, appealing, affirming, and lasting gift for someone who truly deserves it. Of course the “Appreciation Jar” idea isn’t just for bosses – anyone would love to be on the receiving end of something like this! 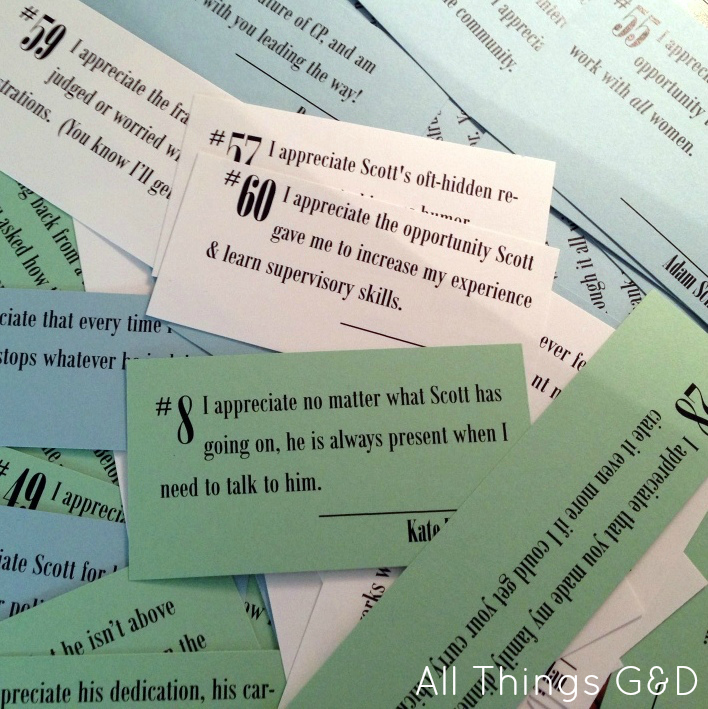 Who do you know in your life who deserves to some acknowledgement thrown his or her way? Dusty, I love this. Thank you for sharing! Awesome. I will be doing this for sure! And when I do, I’ll send you a pic. Thanks for the inspiration.